Services: 10.30am, including Sunday School. Mother and toddlers on Mondays and Wednesdays 9.30-11.30am during the school term. 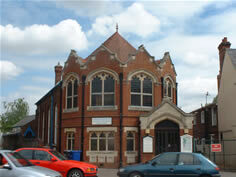 The Stable is on Newmarket High Street, opposite Boots, and is a Christian outreach by Christchurch. Open Tuesday to Saturday for tea, coffee, snacks and light lunches. A non-alcoholic Teens Bar is open Wednesday evenings. On the second Thursday there is Holy Communion at 10.30am. The Stables has rooms available for community use, please contact the Manager June Griffin 01638 662311.